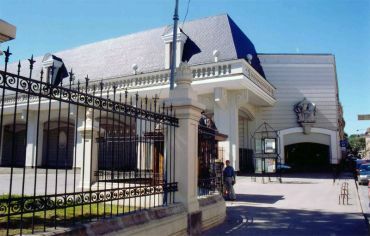 In 1996, in the center of Lviv was built the largest exhibition and cultural and artistic center of Western Ukraine - Lviv Palace of Arts. 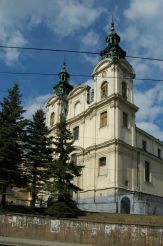 The building was designed by architect Basil Mason with the assistance of engineer V. Kulikovskii, architects V. Iwanski, Z. Podlesnaya and I. Belyakov. Lviv Palace of Arts was built in the Art Nouveau style and is in harmony with the Potocki Palace , which is located nearby. The facades are decorated with arcaded loggias in the classical style and a sculpture of St. Luke - the patron saint of artists. 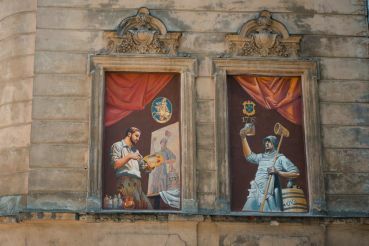 From the street you can see the loggia of Copernicus, which is decorated with a metal fence made of Blacksmiths Association of Lviv in the old traditions. Palace of Arts in Lviv has a total area of ​​8.7 thousand sq. 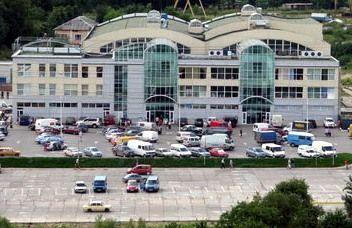 M, and the area of ​​12 exhibition halls is 3.6 thousand square meters. In some rooms the ceiling height of more than 8 meters. The building has a conference hall for 200 seats, which is equipped with a stage and is designed for a variety of conferences, shows, concerts. The area in front of the palace specially equipped and provides the opportunity for outdoor activities. The building incorporates numerous offices, cafe and restaurant. Ukrainian competition of children`s drawing "Spring mood"
festival "Forum of publishers - to children"
annual art exhibition "Ukraine His love." Lviv Palace of Arts also holds National Day chocolate, Christmas trees, fashion shows. In the halls regularly updated exhibitions of contemporary art - paintings, sculptures, drawings and installations.